AVOID! | Biggest Culprits | Digestive Health | Healthy Digestion | Immune system | Myths | Natural Sweeteners | Optimizing Health | Sweeteners | Weight Loss | What is the Paleo Diet? Awful news! Coconut sugar is 100% sugar! You won’t feel a glycemic rush, as coconut sugar is relatively low in glucose. But here’s the rub: The rest of the sugar is fructose! Just like HFCS (High Fructose Corn Syrup), fructose is a liver toxin that causes high cholesterol, obesity, and diabetes (Yup, our top epidemics). Fructose doesn’t give you a glycemic jolt. Instead it quietly and insidiously fills your liver with lipid (fat) deposits and makes you want more sweets. Glycemic index measures glucose, not fructose. It seems crazy, but there’s no such thing as a “fructemic index” in food science – at least not yet. To see what you’re really eating, you can read the total sugar content on a label. Sadly, coconut sugar is 100% sugar. All sugar is toxic, both glucose and fructose. Avoid “High Fructose Coconut Sugar” (HFCS) aka Coconut sugar, the new sweetener of choice for the health-food industry. We see so-called “healthy” chocolate bars, snacks, and Paleo recipes using it as a natural sweetener. Manufacturers tout coconut sugar as a low-glycemic alternative to table sugar. But when we do the math (see below), we see clearly this is just marketing hype, hiding the true sugar content. 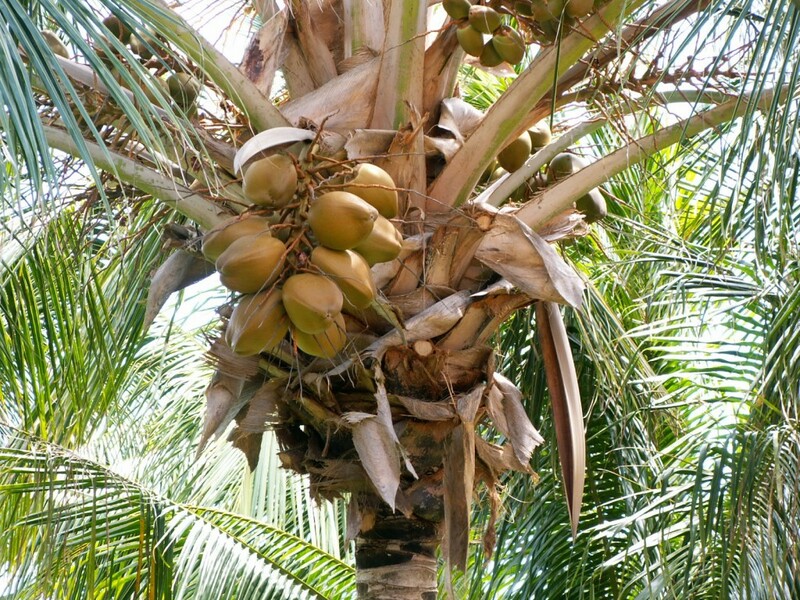 Coconut sugar actually comes from a variety of palm sources. It has many names, such as coconut nectar, coconut crystals, palm sugar, coconut blossom sugar, arenga sugar, toddy, and jaggery. Sugar names are often confusing, as each palm variety yields a different kind of sugar. In the USA all these palm sources are mixed and called simply “coconut”. You can substitute coconut sugar cup for cup with table sugar in any recipe. Coconut sugar is made from the sweet sap that drips from cut flower buds of the palm tree. This raw sap is a delicious, pure, unrefined sweetener that tastes something like Turbinado sugar. 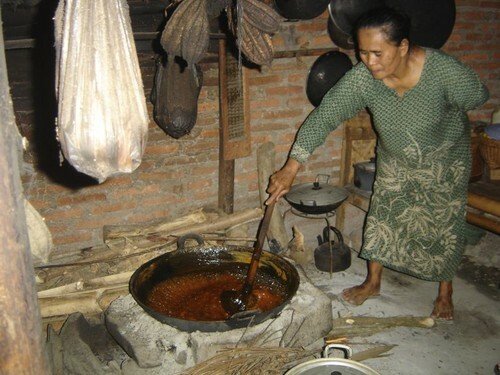 To produce coconut sugar, the raw sap is heated and boiled down for many hours to increase its sweetness and thickness. After boiling, the syrup turns brown. It is then sold as liquid nectar, or crystallized into sugar. Coconut sugar has a low glycemic index of about 35, making it officially a low-glycemic sweetener. Compare that to table sugar’s GI of 68. Glycemic index measures how quickly a food raises your blood sugar levels. A low glycemic index is often advertized as a positive sign. But glycemic index is the veritable tip of an iceberg. Glycemic measures only glucose content, not fructose. In fact, there’s no such thing as a “fructemic” index. We all know that elevated blood glucose levels over time cause sugar addiction, diabetes, obesity, and a whole range of illnesses. But what about fructose? The answer is interesting. Whereas nearly every cell of our bodies can utilize glucose, fructose is metabolized in the liver. The liver is responsible for extracting toxins from the body, not digesting food. When something goes to the liver for removal, we usually call it a toxin. According to doctors Robert Lustig, David Perlmutter, and Joseph Mercola, excess fructose can elevate blood pressure, triglycerides, and LDL. It can deplete vitamins and minerals, cause insulin resistance and obesity. Recent studies link fructose to cardiovascular disease, liver failure, cancer, arthritis, and gout. Read about it here. Coconut sugar’s molecular structure is very close to high-fructose corn syrup. This sounds like a perfect storm recipe for diabetes and obesity. Um, you’re probably getting the idea that I do not recommend refined coconut sugar. You’re right. Glycemic index by itself is not a complete measure of the total sugar content of a food. It’s important to include ALL the sugars, not just glucose. The major component of coconut sugar is sucrose (70-79%) followed by glucose and fructose (approximately 3-9%) each. That sounds great, right? But wait! We know that sucrose is half glucose and half fructose. So if we want the total fructose content, we need to do some simple math. The actual fructose content can range from 40% to 50%, depending upon the type of coconut, and how much it is boiled down. (Compare this to High Fructose Corn Syrup is 55% fructose.) So coconut sugar is advertised as a low glycemic sweetener, and that is true. However what they don’t tell us, is that it is high in fructose. Forget the marketing hype – and read the nutrition label! Does Coconut Sugar have more nutritional value than table sugar? Well, yes a few, but the difference is negligible. Coconut sugar gives you a couple of nutrients, in a LOT of calories. It’s like getting a few drops of nutrients in an ocean of empty calories. So we can’t consider coconut sugar a nutritious food – it’s basically pure sugar. Sorry to say, coconut sugar is not the guilt-free healthy sweetener that manufacturers would lead us to believe. It’s another yummy sweetener that leads us down a path of metabolic imbalance, high blood sugar, and insulin response. A few zero-carb, zero-sugar natural sweeteners to consider are PureLo-Lo Han Guo, Just Like Sugar-Natural Chicory root, or Swerve Sweetener-Erythritol. I don’t sell sweeteners – I just study them. I observe my clients and listen to my own body. Compare the net carbs in popular sweeteners at the bottom of the page. For more details, read my article on Paleo Sweeteners. For a surprising list of ALL sweeteners on the market and how they stack up, read my article 325 Sweeteners, Which is Best? Why Measure Carbs and not Sugars? Many people ask why I measure sweeteners in carbs. That’s easy. On nutrition labels, the USDA measures sugars as “simple sugars”. Stay with me here – this is easy. Simple sugars are monosaccharides and disaccharides (one or two sugar molecules), such as glucose and fructose. Complex sugars are longer molecular chains called polysaccharides. These include dextrin and starches, like starch in potatoes and bread. Polysaccharides are not listed as sugars, but rather included in the carbs number. However since complex sugars are broken down into simple sugars during digestion, we need to count these too. To make matters even more interesting, it is possible for manufacturers to manipulate the sugar content of a food by slicing the molecule in a particular place, thereby lowering the reported sugar content. A surprising trick! Total carbs includes sugars. Therefore measuring carbs from the nutrition label gives a more reliable and complete picture that’s hard to manipulate. Carbs include ALL the sugars, mono saccharides, disaccharides, and polysaccharides, for a more dependable total. Summary: Coconut sugar, nectar, or syrup – delicious flavor, but high in fructose sugars and carbs. UCSF’s Dr. Robert Lustig, Endocrinologist and childhood obesity expert.